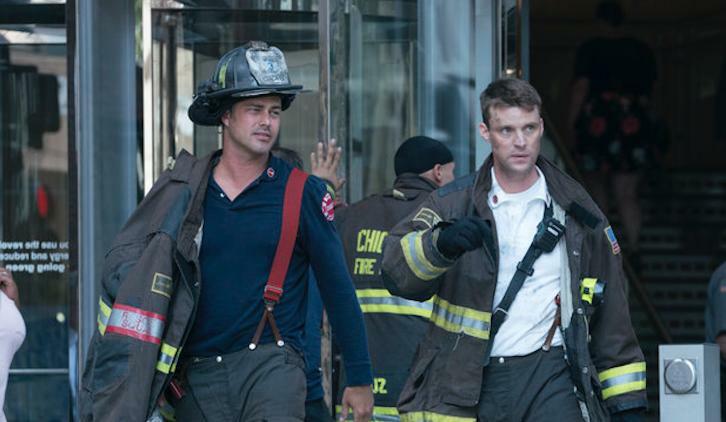 09/26/2018 (09:00PM - 10:00PM) (Wednesday) : SEASON PREMIERE -- Casey tries to deal with his unsettled personal life and the firehouse welcomes a new member. Boden clashes with new Assistant Deputy Commissioner Jerry Gorsch (guest star Steven Boyer). Thanks to Lindsey for the heads up and to @onechicagonews for the videos.